The small village of Monterchi is in the Cerfone Valley of eastern Tuscany, where it is spread across a hilltop with far reaching views across the surrounding countryside. This part of Tuscany is quite flat and undulating so you can see a very long way! 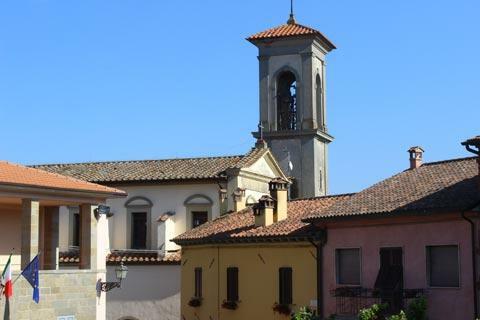 In truth, the village might go unnoticed if it were not for the presence of a museum containing a famous painting by Piera della Francesca. You get a lovely view of the village wrapped around the hillside as you approach Monterchi. The village itself is pleasant but really is small it doesn't take long to walk from the parking up into the village, have a stroll around and a look at the church. That is, it is well worth a look when you are passing but hard to justify a long journey to get here if you are not visiting other places nearby! 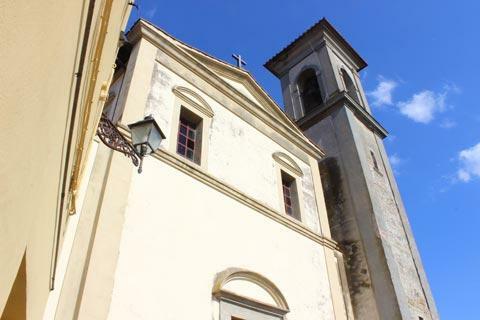 The principal reason visitors come to Monterchi is because it holds an important painting by a famous Renaissance artist: the Madonna del Parto ("translation: Pregnant Madonna") by Piera della Francesca is now held in a small museum in the village. Painted in the 15th century in the Chapel of Santa Maria di Momentana in the village, the work was later covered over and remained hidden for several centuries. After rediscovery it was not in very good condition, so the painting was relocated and extensive renovation work was carried out in the early 1990's prompted in part by a renewed interest in Piera della Francesca by students of Renaissance art: he is now generally considered to be one of the most influential artists of that period. 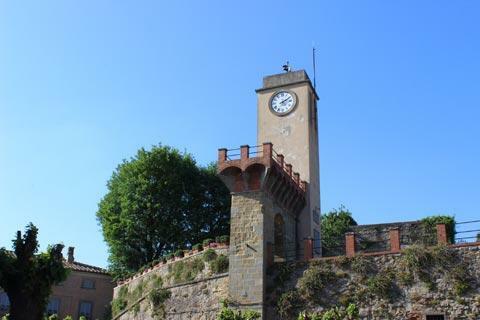 There is also a small museum in Monterchi dedicated to balances and weighing scales, called the Museo delle Bilance. 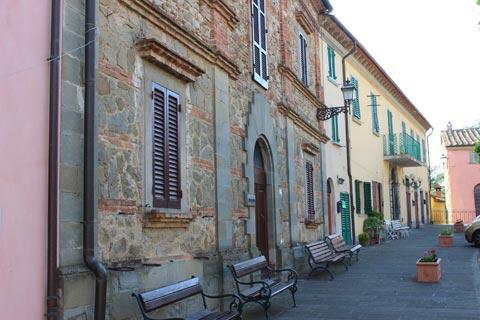 Monterchi is not far to the east of Arezzo, our favourite historic town in eastern Tuscany. 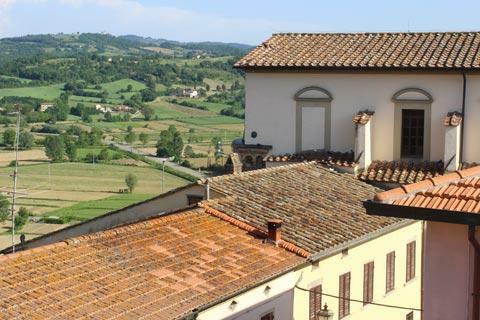 The lovely village of Anghiari with its beautifully preserved historic centre is ony a short distance to the north and the town of Sansepolcro with its medieval palazzos and important civic museum holding paintings by Piera della Francesca is a short distance to the east. 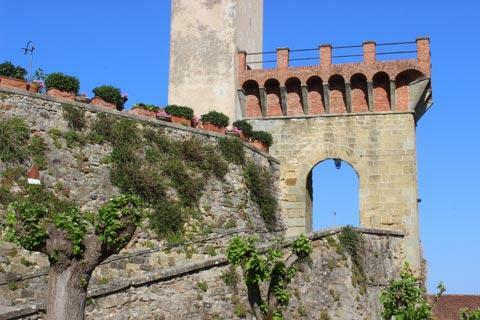 Italy This Way comment: we visited Anghiari, Sansepolcro and Monterchi as a single round-trip journey from Arezzo: individually the three places are quite quick to visit so taken together they made a very pleasant excursion.